Any idea how hard it is to find good, simple, old fashioned writing paper? Close to impossible. Jeremy and I wanted to write a small note to our wedding guests both thanking them for sharing the day with us and for the gifts some gave. 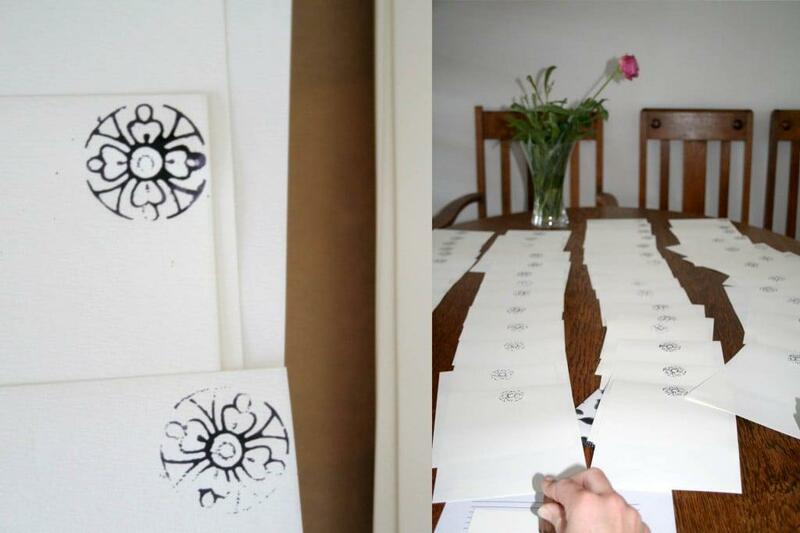 We did not want to print 100 cards with our picture on it – rather, we wanted to give each person or couple a photograph of us and one of them on our special day with a hand written note. Because we could not find any writing paper we made our own. 140gsm, off-white paper cut to size and hand stamped using a hand-carved wooden stamp that I have had for years. This stamp, and two others, were given to me by the same people who generously sold me their small supply of natural fabric dyes years ago. 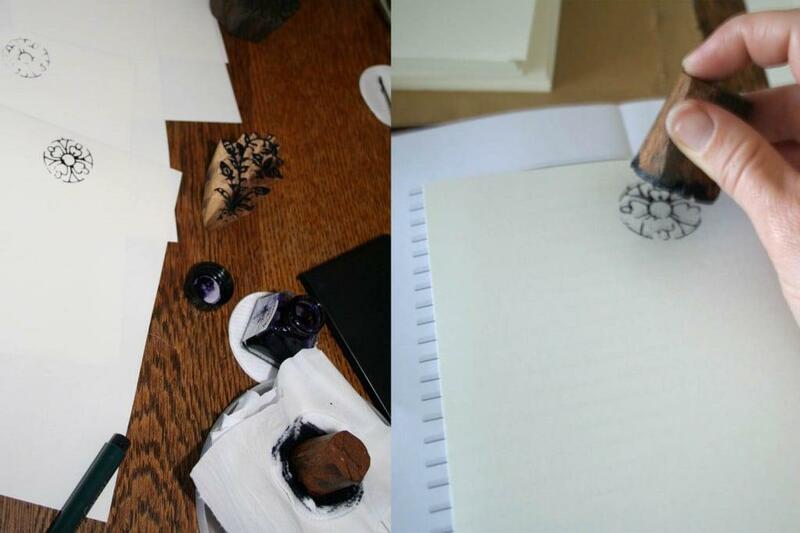 Using layers of cotton wool I made an ink pad and set about stamping 100 sheets. I love the inconsistencies of each one and the intensity of colour that comes from printing with pure ink. 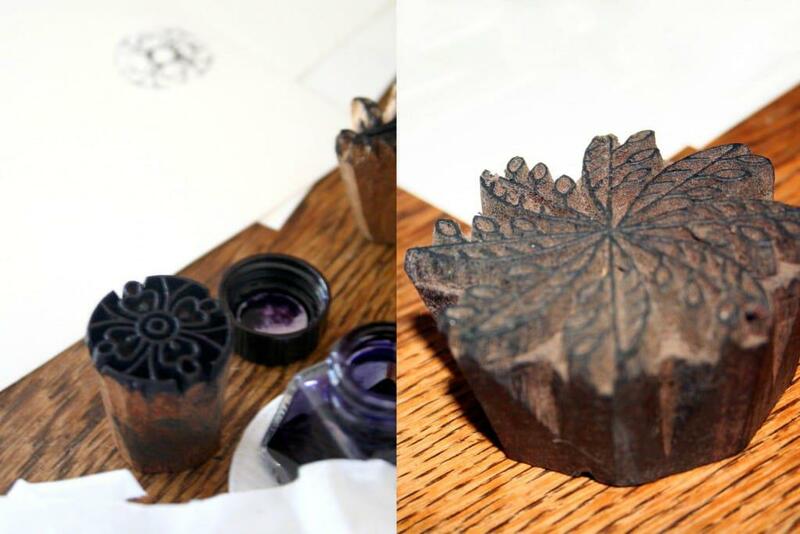 This entry was posted in Blog and tagged block print, India, stationary, thank you stationary, wedding stationary, wedding thank you, wood stamp, wooden stamp. That looks so beautiful,Wendren!Great work!